Sunil Kakkad heads the Firm's Corporate Team. He has over 30 years' experience advising UK and foreign companies, financial institutions and high net worth individuals and families on public and private mergers and acquisitions (both domestic and cross-border), capital markets transactions (including IPOs and secondary issues on the Main Market and AIM), private equity investments, joint ventures and strategic alliances. 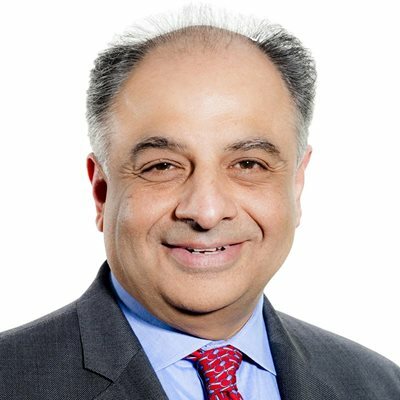 As joint head of the Firm's India Group, Sunil also advises Indian companies, financial institutions and high net worth individuals and families on a wide range of cross border transactions, including mergers, acquisitions, disposals and capital raising in the UK and elsewhere in Europe. Sunil's clients include Main Market-listed clients, including Wilmington plc and Hardy Oil & Gas plc, AIM-listed clients, such as Codemasters Group Holdings plc and The Stanley Gibbons Group plc, and other listed and large private companies in the UK and abroad, including Greenko Group plc and Mytrah Energy Limited. His clients include companies in the energy and natural resources, technology and media, and professional and business support services sectors, as well as financial institutions and high net worth individuals and families. Advising Wilmington plc on numerous acquisitions and disposals, including most recently on its £19 million acquisition of Health Service Journal. Advising Codemasters Group Holidngs plc on its AIM IPO raising £185 million. Advising Mytrah Energy Limited on a recommended £79 million cash offer by Raksha Energy Holdings Limited. Advising the founders of Roof-Maker Limited on the £30 million sale of Roof-Maker Limited to Next Wave Partners. Advising Greenko Group plc on its US$255 million sale of a majority interest in Greenko Mauritius to GIC (the Singapore sovereign wealth fund). Advising Greenko Group plc on secondary fundraisings on AIM totalling £122 million. Advising Greenko Mauritius, a subsidiary of Greenko Group plc, on a number of investments, including a US$46 million equity investment by Global Environment Fund, a US$70 million investment by Standard Chartered, a US$150 million equity investment by GIC and a US$125 million investment by EIG Global Energy Partners. Advising The Fine Art Auction Group Limited, a subsidiary of The Stanley Gibbons Group plc, on its recommended £8.6 million cash offer for Mallett PLC. Advising The Stanley Gibbons Group plc on its recommended £45 million cash and share offer for Noble Investments (UK) plc. Advising The Stanley Gibbons Group plc on secondary fundraisings on AIM totalling £46 million. Advising Take Global Limited on its acquisition of WCI Consulting Group Limited. Advising Acorn Global Investments Limited on its cash offer for Dhir India Investments plc. Advising Elara Capital as global coordinator and lead manager to Prakash Industries Ltd, on the issue of Singapore-listed $100 million foreign currency convertible bonds. 27 June 2016 The decision to leave the EU - What Next?